Party Panel is an online panel study about the nightlife. 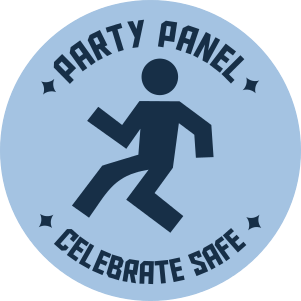 Party Panel is an initiative by Unity and Greater Good that was initatived in Project Party Safely, which also manages the Celebrate Safe campaigne. The goal is to gather up-to-date insights in current nightlife trends. This information can then be used to communication properly about participating in the nightlife in a health manner. This questionnaire starts in the summer of 2016. The goal is to eventually repeatedly release questionnaires, to map different nightlife aspects. By using a unique code that every participant generates themselves data of successive questionnaires can be linked while still maintaining complete participant anonimity. Every questionnaire will focus on a different subject, depending on the needs of nightlife professionals. Participants can also suggest subjects themselves, on the last page of the questionnaire. First, the results will be shared with the Party Panel members. Second, the results will be analysed and experts in behavior change from Greater Good will inspect them to formulate recommendations about enjoying the nightlife in a healthy manner. These will be communicated to prevention organisations such as Unity. Finally, the results will be reported in Open Access scientific journals, and the data (which are anonymous), questionnaire, analysis scripts, and output will be published as well. A two year ambargo rests on the data and other resources of every Party Panel wave. In a study such as this, anonimity is very important. At the same time we would like to be able to follow participants over time. To solve this, we use the Party Panel code. This is a code that participants can easily generate at http://partypanel.eu/code. This code does not allow deriving participants' identities. In addition, participants won't have to remember anything, while still enabling linking successive questionnaires. When somebody registers for Party Panel, their email address is stored in a separate, secured database. This database does not store any so-called 'timestamps' or ip-adresses, making sure there is no way to link these email addresses to questionnaire results.